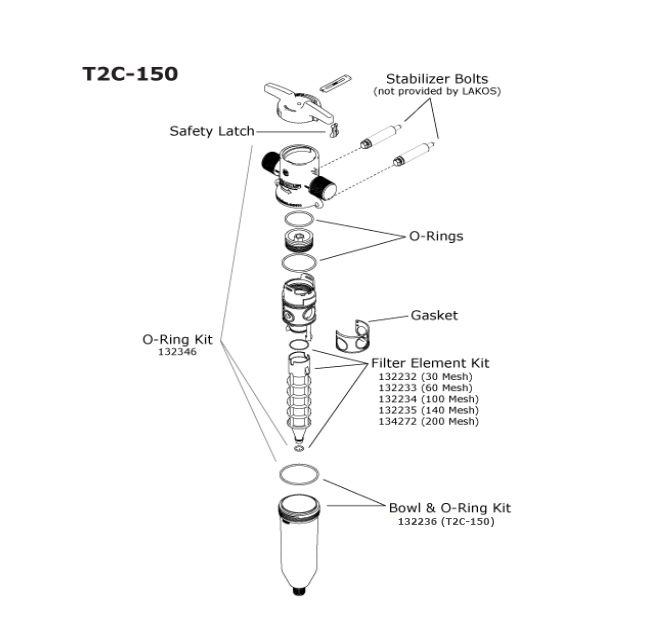 Always install downstream of a pressure tank or pressure regulator. Do not install immediately at pump discharge. Install vertically with purge exit pointing downward. Allow clearance for operation and maintenance. Plan for placement of a bucket or hose to catch purge water. When installing outdoors in a sunny location, install optional sunshield to prevent algae growth in filter bowl. use tools. Lift the red tab and rotate the top handle to verify flush mechanism works properly. 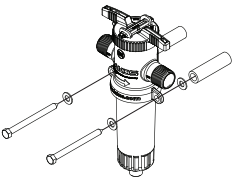 4 Anchor: Secure the TwistIIClean unit to surrounding structure using the mounting eyelets molded into the unit. This will keep the unit stable when operating the flushing mechanism. Because of the variety of mounting options across different environments, mounting hardware should be purchased separately. For a typical installation, Use 3/8" Hex Lag Screws plus washers and PVC pipe to connect to a secure surface (Fig. B). 5 Pressure test: Pressurize and fill unit slowly after installation. Check for leaks. 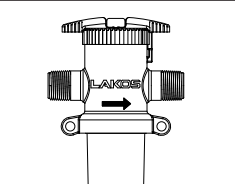 6 Flushing test: Prepare flushing bucket or attach hose to unit to manage flush water. After disengaging the red safety latch, twist the top handle with a 1/4 clockwise turn to begin flushing. Water should flow through the purge exit at the bottom. Twist the handle back to its “run” position, re-engage the safety latch and check for leaks (Fig. C & D). TWISTIICLEAN removes particles and debris as the water passes through the filter element. Periodic cleaning is necessary to optimize filter performance, reduce system pressure loss and prolong the product life. Visually inspect the filter for material build-up. When the filter element looks like it is filled with debris, it should be cleaned. TWISTING THE HANDLE FOR FLUSHING. The following models of the TwistIIClean products are NSF certified.